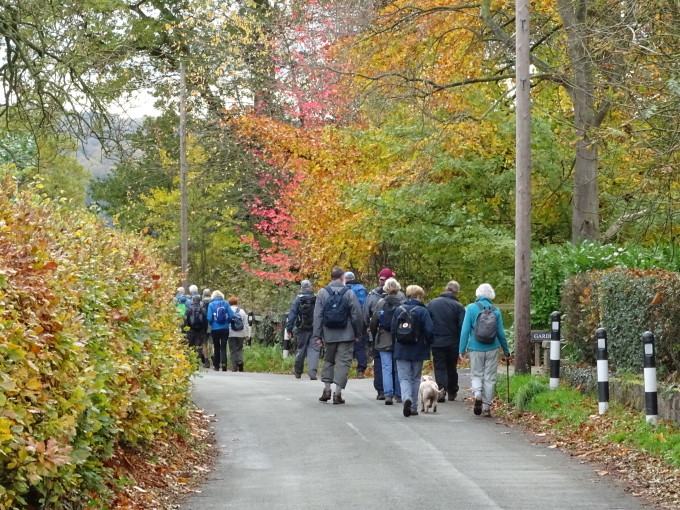 We are an informal group of like-minded individuals and couples based in Mid-Cheshire who enjoy walking and socialising together. We are of different age groups and different backgrounds; some of us are working and some are retired. We have different levels of walking experience and ability. We arrange day walks on alternate Sundays between March and the end of November each year and week-day evening walks from March to the end of August. Day walks can be a distance of between 6 and 10 miles (depending on the degree of difficulty) but evening walks are shorter and less strenuous. Walk leaders are volunteers from the group and the leader decides the destination, distance to be walked and the level of difficulty. Full information is published on the website and on local notice boards and it is the members’ decision as to whether the walk is suitable for them. All walkers must have appropriate footwear and clothing and walk at their own risk. During the year we also have a walking weekend away, and a day trip by coach where different walks are offered and where there are attractions for non-walkers. We also arrange other activities on other dates and we have an annual photographic competition. We are not affiliated to any other walking group or organisation. Membership is £5 per year.